Sudden hospital trips with your older adult are incredibly stressful and completely outside of your control. But there is one thing you can control — your caregiver essentials hospital kit. Just like a natural disaster kit, this is something you assemble ahead of time…just in case. Put important documents, key information, and a few necessities into a tote bag. Creating this kit ahead of time prepares you for any emergency. Stash your bag where you spend a lot of time. If there’s a crisis, grab your caregiver essentials kit, get to the hospital, and feel confident that you have what you need to take care of your older adult and yourself. Having all this key info about your senior in your hands means you won’t have to scramble when hospital staff asks questions. You might think the hospital would have your older adult’s information on file if they’ve been there before, but we’ve found that this isn’t always the case. It’s best to be prepared so the staff gets the correct information entered into their system. Most likely, you’ll be spending at least a few hours at the hospital. In some cases, you might need to stay overnight before you have a chance to go home and get some things for yourself. Hospitals are notorious for taking ages to complete tests or have a doctor to talk with you. Having some necessities on hand will help you feel more calm, comfortable, and in control of the situation. 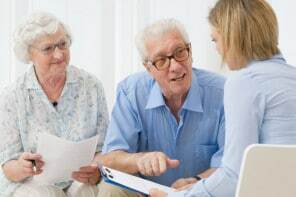 ​Care For Your Aging Parents in Their Own Home or Move Them Into Yours?